Richard Bischoff is particularly interested in increasing access to high quality mental health care, especially among vulnerable and underserved populations. He is currently involved in projects designed to do that by marshalling local resources to better meet the mental health care needs of communities and delivering high quality mental health care services through videoconferencing. 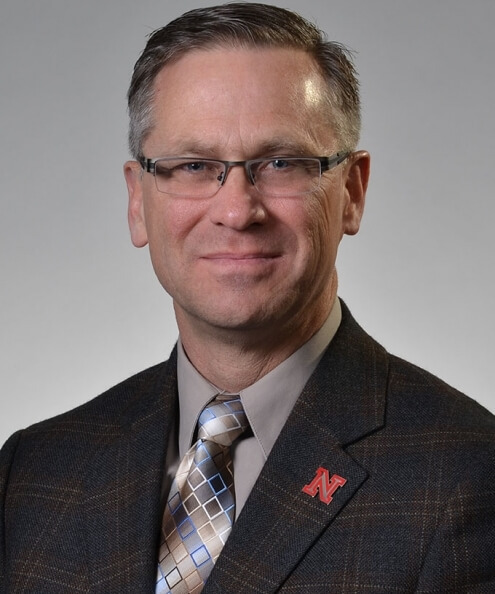 Bischoff has been a faculty member at the University of Nebraska-Lincoln since 1998. He moved to Nebraska from San Diego, Calif, where he taught at the University of San Diego and worked as a marriage and family therapist in a primary care medical clinic. It was there that he developed an interest and expertise in collaborative healthcare and medical family therapy. At UNL, he has applied collaborative care principles to work in rural medical settings, and he has been able to do this through the innovative use of video conferencing as a primary treatment delivery medium. This work has increased access to mental health care for underserved rural residents. This blending of interests and the innovative use of technology has been exciting for Bischoff as he sees the impact that this work has on rural communities and on students. People who would not have had access to mental health care otherwise now have access to culturally sensitive, state-of-the-art treatment. This appears to be a positive impact on community members’ perceptions of mental health problems and mental healthcare, in that the negative attributions associated with these appear to be decreasing. His students have rich experiential learning opportunities working with rural patients and care providers, thereby increasing their appreciation of the care culture in rural communities. The students also have one-of-a-kind opportunities to be trained in the use of videoconferencing and other technologies in delivering mental health care to underserved populations.